Overview: This in-depth guide explores the science and benefits of grounding and earthing, including nine effective grounding techniques and exercises. You’re walking barefoot on the beach. Feel the warmth of the sun contacting your skin. Listen to the rhythm of the crashing waves. Smell the ocean wind as it brushes through you. Now, notice your feet. Do you feel a tingly sensation in your feet or legs as a warmth rises up your body? Perhaps you’ve noticed a similar feeling while walking barefoot on the grass. In those moments, you are grounded. It’s one reason many people are drawn to the ocean. Feeling connected to the earth. We’ve all experienced being grounded. We feel “at home”. But this is a fleeting experience. Therefore, grounding exercises can increase your overall performance. But first, let’s look at what happens when you’re ungrounded. 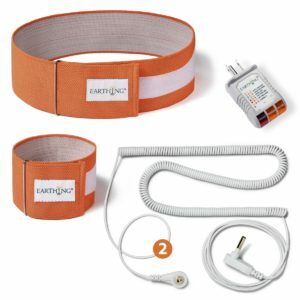 Do Earthing Products Really Work? Being ungrounded is a worldwide epidemic. This epidemic is so entrenched few of us even recognize the problem. Being ungrounded is the root cause of a great deal of human suffering. Although the ultimate benefits of grounding techniques will come from the experience itself, our minds often seek evidence in advance. Research on grounding began emerging over the last 15 years. It’s still in its infancy, but the results are promising. These studies are all encouraging, but you don’t need external scientific evidence. If you take the mindset of the scientist, you can let your body be your laboratory. Then, you can evaluate the results for yourself. The first part of grounding is to get rooted in your physical body. Grounding is a similar concept to centering. The Center is expansive, including your body as well as your mind, heart, and spirit. Once you learn how to ground yourself, it’s easier to find your Center. Grounding techniques are designed to redistribute the energy from your head or mind into your body. Doing so has an almost instant calming effect. 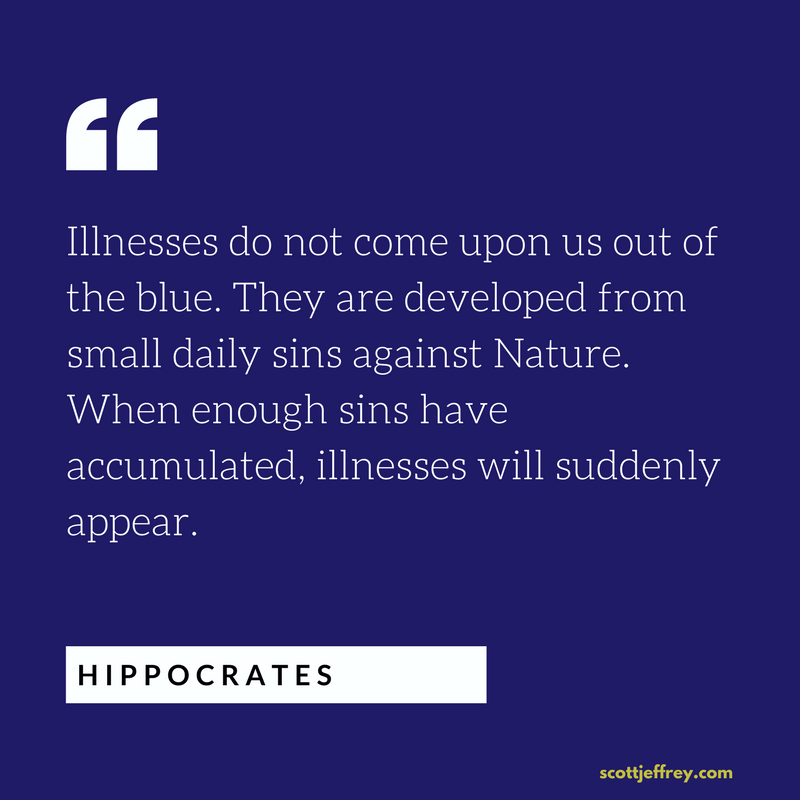 Most of our stress and anxiety results from a disconnection from our bodies. The more rooted you are in your body, the less stress and anxiety you experience. Try one of the following grounding techniques right now to observe the effects. I don’t fully understand why this grounding exercise is so effective, but it almost always works. When you are ungrounded, place one hand over the crown your head. That’s it. If it helps, close your eyes to avoid distractions. Time: 30 seconds to 1 minute. I often use this technique with my clients because it’s so fast and effective. Sitting or standing, place all of your awareness on the bottom of your feet. Pay attention to any sensations. Close your eyes and as you inhale, trace the air as it enters your nose and goes into your lungs. On the exhale, follow the air leaving your lungs and exiting your nose or mouth. This grounding technique gets more effective with practice. The key is to observe the breath instead of forcing it with your mind. Let your body lead and your mind will follow. Time: 1 minute to 10 minutes. We discussed this powerful grounding technique in a previous guide to an ancient standing meditation. Stand with your feet parallel and at least shoulder’s width apart. Keep your head floating above your body, chin tucked, and spine straight. Rest your hands at your side or place them over your navel. Sink all of your body’s weight and tension into your feet (without collapsing your posture), allowing it to be absorbed into the ground. To support this grounding process, imagine roots growing out the bottom of your feet, extending deep into the ground beneath you. For a complete guide on how to correct your posture and build energy standing still, click here. This grounding technique has many health benefits. Cold exposure has shown to increase immunity, reduce fat, and elevate mood (by triggering dopamine). If you’re not accustomed to cold showers, at the end of your hot shower, make the water warm/cool for 30 seconds. Over the course of the next three weeks, make the water slightly cooler and stay under it for longer. By the end of the three weeks, your body will get used to the cold temperature. It’s an invigorating and grounding experience. I recommend it unless you have high blood pressure. Time: 30 seconds to 5 minutes. A category of grounding exercises is called “earthing.” When I read the book Earthing (Audiobook) a few years ago, I was captivated by the idea. Earthing means connecting your physical body (skin layer) to the Earth. Every household outlet has a ground wire. (It’s the third prong; that semi-circular hole beneath the other two prongs). In case there’s a short circuit, the ground wire provides a path for an electrical current to be absorbed into the ground. Without a ground wire, your body touching the device (electrical box, appliance, power tool, etc.) may complete the ground path. This causes a shock, if not an electrocution. From an earthing perspective, our bodies are already short-circuiting, resulting in the prevalence of physical, emotional, and mental disorders. Connecting to the Earth grounds us, re-balancing our electrical system. The theory is that earthing allows a transfer of negatively charged electrons from the Earth’s surface into the body. These electrons neutralize positively charged free radicals that cause chronic inflammation. An excess of free radicals damages our cell membranes and DNA, leading to cancer and other diseases. Because earthing has shown to reduce blood viscosity (thickness) and inflammation, it has the potential to support cardiovascular health. Most of us have an overactive sympathetic nervous system (excessive emotional stress). Preliminary studies show that earthing has a calming and balancing effect on the nervous system. A growing body of research suggests that earthing helps naturally heal humans from a wide variety of ailments. Cyclists in the Tour de France often suffer from sickness, tendonitis, and poor sleep from the extreme physical and mental stress caused by the race. The American team experimented with earthing after their daily competition. They reported better sleep, less illness, no tendonitis, and faster recovery from illness. From my experience, the benefits of earthing go far beyond healing disease. Humans are beings of energy. 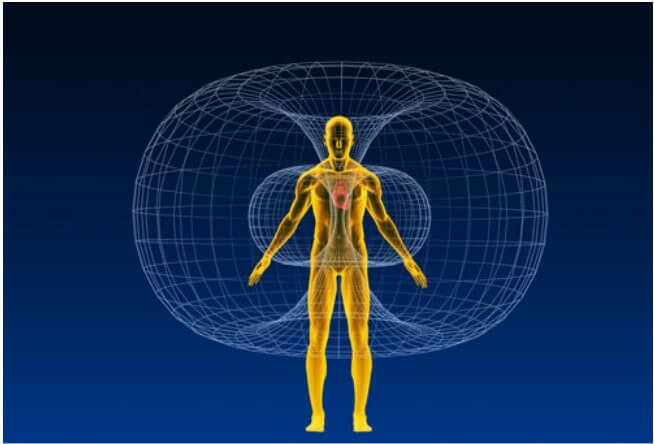 Electrical currents and their associated magnetic fields fill and surround the human organism. These currents make up a web or system of interactive energy fields that govern the body’s functioning. In energy medicine, it’s called the human biofield. This subtle energy is called prana in Ayurvedic medicine and qi in Chinese medicine. However, these ancient terms likely include other forms of energy beyond electromagnetic fields (for example, sound energy). In these ancient Indian and Chinese traditions, the understanding is that a life force energy flows through the body (extending beyond it). Blockages and imbalances in the flow of this energy lead to illness. Modern forms of energy therapies like Reiki operate on a similar principle. In Chinese thought, the qi from our bodies comes from Heavenly Qi and Earth Qi. Heavenly Qi refers to the energy of the sun and the cosmos. Earth Qi is formed from the Earth’s natural web of energy, its magnetic field, and its natural heat. It turns out the Earth also has an energetic anatomy consistent with our own. Energy centers, energy channels, magnetic fields emanate from the Earth. The Earth is like a massive battery that’s replenished by solar radiation, lightning, and heat from its molten core. It gets recharged every minute by 5,000 lightning strikes somewhere in the world. While some early versions of the shoe were made of papyrus, most shoes were crafted from cowhide, bearskin, deerskin, wood, and canvas. Enter the industrial age. The first rubber-soled shoes date back to 1876 in England. By World War II, synthetic-soled shoes were commonplace. We, as a people, haven’t recovered ever since. If you recall from high school physics, substances called conductors allow electricity to travel through easily. Others substances called insulators inhibit the flow of electricity. If you’re outside during a lightning storm, it’s best to get into your car, because the tires are rubber. Rubber is an insulator; it will protect you from the lightning striking the ground. The rubber-soled shoes have broken our connection to the Earth. Earthing naturally protects the body’s delicate bioelectrical circuitry against static electrical charges and interference. Most importantly, it facilitates the reception of free electrons and the stabilizing electrical signals and energy of the Earth. Earthing remedies an electrical instability and electron deficiency you never knew you had. It refills and recharges your body with something you never knew you were missing … or needed. Taken from a modern perspective, walking barefoot on the ground might seem primitive. From an instinctual perspective, however, walking barefoot is how we are meant to travel. Grounding exercises to connect you to the Earth are straightforward: just take off your shoes and socks and get outside. Stand on the Earth: grass, stone, sand, or dirt work best. You can stand in one place, walk, or lay down. As in forming any electrical circuit, you need two points of contact. One foot alone on the Earth won’t ground you, but two feet will. If you’re lying on the ground, you can use any two connection points to form a circuit, for example, an elbow and a foot. For healing, the researchers behind the Earthing movement recommend staying barefoot on the Earth for at least 20 minutes, twice a day. But even if you can get connected to the Earth for only 10 minutes during lunch, it will serve you. Avoid grass sprayed with pesticides as they will get absorbed through your feet. Be careful in areas that may have broken glass or debris. Avoid walking barefoot on asphalt. 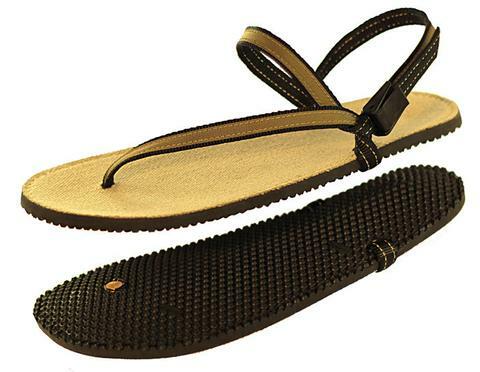 If you can’t be barefoot, I recommend wearing a pair of earthing shoes. Simply walk and stay present with your environment. My favorite way of earthing is to walk barefoot on my property and the surrounding woods. Depending on how active my mind is, it takes only a few minutes before I am more mentally calm and centered. Walking barefoot has the added benefit of massaging acupuncture points in your feet like in reflexology. A point of particular interest is the Kidney-1 (K-1) point or “bubbling well” in the center of your foot. Walking barefoot helps stimulate this point. Be sure to use your whole foot when you walk: heel, ball, toes. Have you ever noticed how cats and some dogs roll around on the Earth? I’ve often wondered if they instinctually know how to discharge negative energy. Try getting dirty and rolling around on the Earth. You’ll understand why cats do it. It feels good. Time: However long you want. We covered this grounding technique above. This standing meditation called Zhan Zhuang works best in nature (in fresh air) and even better when done barefoot on the Earth. The Chinese even make cotton-soled Tai Chi shoes (but I discovered they are filled with polyester, which defeats the purpose). A better alternative is earthing shoes. Feel the ground beneath you and center yourself. Now, focus on your heart. Become present with the energy of life emanating from your heart. Now, imagine the center of the Earth. It could be a magma core, a circle of light, or whatever comes to mind. Next, visualize a curved beam of light or energy going from your heart down to the Earth’s core. A complementing curved energy beam extends from the core to your heart (completing a pointed oval). Feel the connection between your heart and the Earth’s core. Time: 2 to 5 minutes. When I first read about earthing, it was during the winter. I wasn’t ready to walk on the frozen ground so I invested in a number of Earthing products. 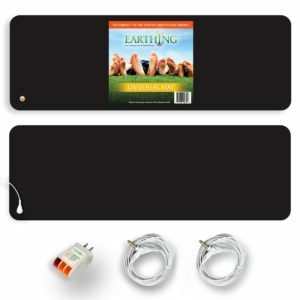 Behind the Earthing movement is a new industry of products designed to ground you by connecting the product to the ground wire in your home. These products appear to work, but the positive results reported could be a placebo effect. I honestly don’t know for certain, but preliminary research suggests they provide genuine health benefits. If I tried earthing five years ago, I’m certain I would have felt nothing. I had little sensitivity to the movements and sensations in my body. After practicing Qigong for numerous years, however, I have greater body awareness. When I connect my feet to the Earth, I can observe various sensations. I can also detect a slight vibration emanating from the ground when I’m centered. I used pads and sheets for several months. With the exception of earthing shoes, I could detect very little, if any, effects from using them. Of course, this doesn’t mean earthing products don’t work. Had I not already optimized my sleep for the pineal gland, perhaps I would have experienced the benefits of earthing sheets as many others report. 4/17/19 Update: I recently had an extensive exchange with Martin Zucker, a co-author of Earthing. He also suggested that it’s likely because of my current state of health that I don’t feel the effects. Also, I live in a wooded environment where all the electrical wiring is underground. My Internet modem is shut off in the evening and there are no electronic devices in the bedroom. All of this translates to super-low levels of electromagnetic frequencies (EMF). As a consequence, something like earthing sheets isn’t necessary. While earthing shoes don’t provide me with the same experience as being barefoot, I can still feel a grounding effect. You can also still ground yourself in your home without any products. When indoors, ceramic tile and concrete flooring can ground you if you walk barefoot. Carpet, vinyl, and wood flooring will not. But the effects aren’t as powerful as direct contact with the Earth itself. See my review of Earth Runners Minimalist Sandals here. If you consciously ground yourself in your body (Part I) and then root yourself to the Earth (Part II), you can augment the effects of grounding/earthing. The more time you spend in front of a computer or connected to your smartphone, the more time you’ll benefit from grounding techniques and earthing exercises. Some people believe there isn’t valid evidence to prove that electromagnetic frequencies (EMF) and radiation waves from electronic devices like mobile phone are harmful. However, the evidence continues to mount. Ultimately, you need only get more rooted in your body to end the debate. The effects of both EMF and/or radiation from these devices become noticeable in your energetic body. It’s not a question of whether these electromagnetic and radiation waves are affecting you; it’s to what degree you’re able to feel them. Regardless, grounding yourself in your body and daily earthing may be an important lifestyle choice for those interested in a long, vibrant life. Learning qigong or practicing The Mastery Method (if you don’t have a lot of time) can teach you how to feel and move the energy in your body. Grounding techniques provide powerful methods for increasing your awareness of your body. These exercises offer a diverse range of health benefits. Earthing is a grounding exercise that reforges your connection to the Earth. Research shows that earthing reduces inflammation by scavenging free radicals. Therefore, grounding exercises will help increase your overall mental and physical performance. It’s a calming and joyful experience to walk barefoot on the Earth. These grounding techniques help awaken your instincts and bring you closer to yourself.